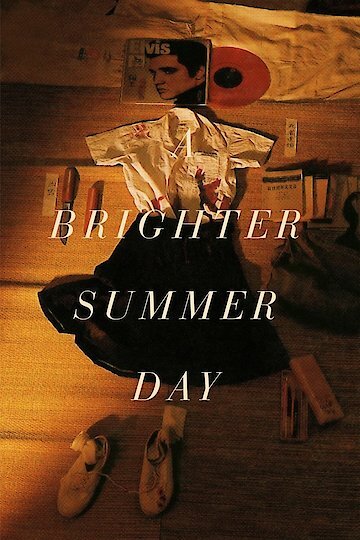 In this Taiwanese the director retells an incident that happened during his school days. A fourteen-year-old boy is caught murdering his girlfriend. He finds out that his girlfriend is somehow involved with a teenager who is a gang member. The gang leader and his girlfriend are in two different gangs. Their relationship threatens their lives if found associating with each other. The movie places the murder under a political theme for the time period in Taiwan. The film's original Taiwanese is translated as "The Murder Incident of the Boy on Guling Street." A Brighter Summer Day is currently available to watch and stream, buy on demand at Amazon, Vudu, Google Play, iTunes, YouTube VOD online.